In May 2010 the Ewing Halsell Foundation granted funds to the Harte Research Institute (HRI) and the Meadows Center for Water and the Environment (Meadows Center) to devise novel experiential, technology-enhanced ways to improve water education for students and teachers, from Texas’ headwaters to the ocean. That project has become widely known simply as “H2O.” In this first phase = of H2O, HRI and Meadows Center readied water education for students that will profoundly change how today’s youth engage and relate to water — creating tomorrow’s adults who will understand and advocate wise water use. This work developed an extensive suite of experiential (hands-on and interactive) water education curricula and learning tools. These are designed for use out-of-doors and in classrooms, and are enhanced by exciting and powerful new multi-media and mobile technologies sought by today’s youth. The following are proposals to implement the advances of H2O, turning H2O’s new tools to the task of increasing learning about water, aquatic ecosystems, and sustainability of water resources. Connect Texas Science Teachers and Middle School and High School Students with Experiential STEM Education Curricula in Aquatic Ecosystems Science – A proposal to support publishing and delivery of 4,000 funder-branded textbooks to 4,000 science teachers, who teach approximately 100 science students annually, thus providing improved science education to 400,000 students in the first year and every year thereafter. Engaging Families in Immersive Learning Experiences with Virtual Environmental Systems. A National Science Foundation proposal to conduct proof-of-concept and pilot studies to provide the foundation for an interactive, immersive exhibit at the Corpus Christi Museum of Science and History using interactive projection systems. The STEM content will focus on concepts of H2O related to how headwater springs, aquifers, streams, rivers, bays, estuaries, wetlands, and the Gulf of Mexico operate as a system, and the natural and manmade processes that affect that system. Implementing H2O and equipping Charter Schools with pioneering water and water environment curricula that exceeds the challenge of the Texas Education Code to “encourage different and innovative learning methods. – An implementing proposal for H2O. Aquatic Science (Water Education) for Hispanic Learners – A project to foster Hispanic STEM attainment by students, improve teacher instruction to Hispanic students about water and aquatic ecosystems, and increase entry to science careers by Hispanic students in the U.S. and elsewhere in the Americas. Water Quality Test Kits and Teacher Training for STEM Studies in Water and the Environment: Biology, Chemistry, Physics and Mathematics – A proposal to help fund Stream Team – A proposal to Enhance experiential learning about water by students through use of new interactive and mobile technology developed through the H2O project. Providing Experiential Education in Aquatic Science (Water Education) for Advanced and Nontraditional Learners in Texas – A project to provide teachers in flexible or nontraditional teaching settings with advanced experiential-based STEM curriculum and teaching enhancements, fully aligned to Texas’ education standards, in water and aquatic science subject areas. Leveraging H2O Youth Water Education in South Texas: Bays, Estuaries and the Gulf. A proposal to implement H2O concepts in coastal Texas. Complete Programming of Student Networking Component of H2O’s iPad App for Experiential Education on Water — This project would fund completion of programming and set-up of H2O’s iPad app. Texas Aquatic Science Interactive Water and Aquatic Science Exhibit — This project will develop a 10- to 14-station interactive, touch-controlled, multi-media exhibit for use at education centers (indoor or outdoor) based on the 14 chapters in the H2O-funded Texas Aquatic Science curriculum. H2O is funded by the Ewing Halsell Foundation, San Antonio. Texas Aquatic Science by Rudolph Rosen. Click Here: Texas A&M University Press. 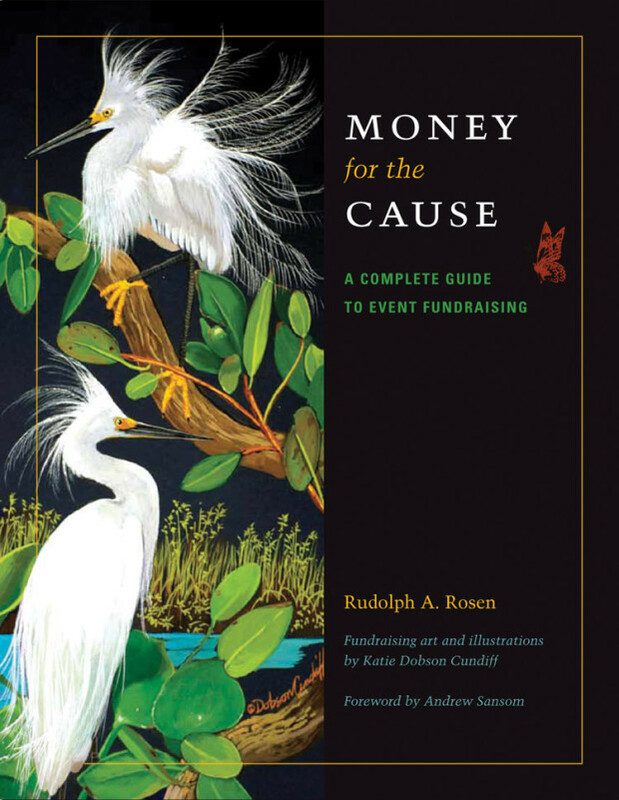 Money for the Cause by Rudolph Rosen. 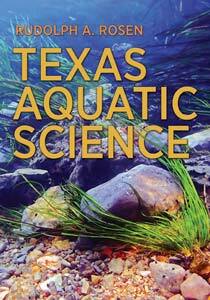 Click Here: Texas A&M University Press. Raise money for conservation and the environment, in good times and bad. Experiential STEM Education Research Shows Students’ Understanding of Water Increased at San Marcos River (Aquarena) Headwaters. Harte Research Institute and H2O enter environmental education partnership with Hamline University’s Center for Global Environmental Education (CGEE) and the International Crane Foundation (ICF). “Star” Corpus Christi area teachers interviewed for appearance in new “bays, and estuaries” Teaching with the Stars, training video and STEM curricula funded by H2O and supported by the Harte Research Institute. Ph.D. , Fellow of the Meadows Center for Water and the Environment at Texas State University and Director of the Texas A&M University Institute for Water Resources Science and Technology in San Antonio, with initial major funding from the Ewing Halsell Foundation, San Antonio.